It doesn't take a genius to know that we live in a strange, complicated world and in it there are many distractions, some good, while others are bad. But its those distractions that can cause many people loose focus or concentration. So many people today, live their lives by the way of the world and their main focus, happens to be the Internet, news or social media. In many ways this has caused job loss, hurt feelings, breakups, families have been destroyed and in some cases caused many divorces. Why? Because most people attention these days happen to be on their cell phones, computers or their flat screens televisions at home instead, of concentrating on what's important their love lives. Then there are the other common distractions, that also effect many of peoples lives. ( Like the lives of celebrities or famous people.) For some reason people these days, think of life as if it was a fairy tale or a love store, when in reality real life isn't some written fantasy, its something that has to be lived and experienced every single day. Some people get caught up with their ex- spouses, family members or even close friends lives, instead of doing what's right with in their own homes. My mother used to call this playing the dozen or trying to compete with others. For those who don't understand what I am saying it means when some people become envious or jealous of other people success and then want it all for themselves. What's so sad is if these people would just put in a little effort, then work hard then they too can have the life that most people only dream of. Instead these people are busy looking across the street or have their eyes glued on their neighbors house instead of concentrating on what's going on inside their own home. It sad that these day people are always wondering why their friends or neighbor drives this type car , wears this type of clothing or even why they are involved with a certain type of person or individual. This sometimes causes major problems in marriages and relationships. If you happen to be in a marriage or relationship and your man or girl, husband or wife happens to be materialistic or even envious of others then it can become a huge problem. Why? Because it puts added pressure on the man or woman in the relationship or marriage. It makes one want to ask them, why look or be concerned with what other people are doing? We love each other, lets work this out, after all its Just The Two Of Us. 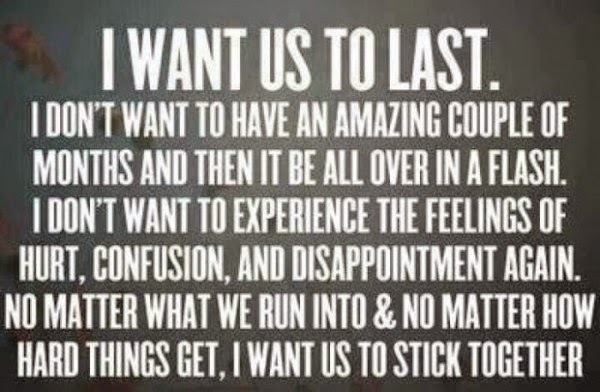 We got each other and our future is right there before us so lets give it time. It doesn't matter what the rest of the world is doing , what they have or think and their opinion doesn't mean a thing. When we are together behind closed doors in a home we built and created together only our situation or world matters. After all who cares what the rest of the world is doing as long as we love and have each other, its Just The Two Of Us. Write in the express your thoughts or views on the subject. THE SONG IS SOFT AND SWEET I LUV IT VERY NICE !!!!! !